Deb’s passion lies in bringing clients’ vision to life through inventive and durable interiors. 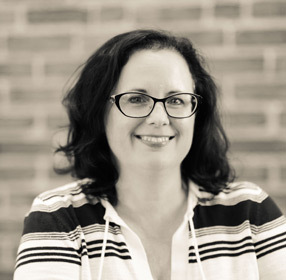 Since joining Alliiance in 2000, Deb has led visioning, programming, workplace strategy, design, and furnishings selection for workplace and public sector projects. In an ever-evolving world, Deb has used her knowledge and communication skills to develop and reinforce planning strategies and design solutions that work in a wide variety of project types. She understands the positive impact a properly designed space can have on productivity, well-being, and culture. Deb received a Bachelor of Science in Interior Design and Urban and Regional Studies from Mankato State University. She is a past president of the International Interior Design Association Northland Chapter and passionate about historic preservation and sustainability. In her free time Deb loves traveling, reading, pinot noir, and baseball.